The Trip to Italy, in cinemas May 29. Poppet’s Window attended the Cecconi’s Flinders Lane Restaurant & Cellar Bar relaunch as a guest. The Trip to Italy tickets have been provided by Madmen Entertainment. PoppetsWindow.com maintains complete editorial control of all published content. Never write about food when you’re hungry, especially Italian food – it makes you go a little strange. The physical symptoms include stomach pains, tummy rumbling and general nausea. Mental side effects can be much worse, ranging from unwarranted anger and – occasionally – uncontrollable crying. This was the situation I found myself in when I sat down to write about iconic Italian restaurant Cecconi’s earlier. I drank a substantial smoothie for breakfast but was holding out on lunch for fear my dental hygienist would judge me for storing small meals in my molars. It wasn’t a particularly pleasant dental appointment; at one stage three staff members were asking for restaurant recommendations while I had a gnarly piece of metal scraping six months’ worth of plaque from my teeth. At the end they filled my mouth with sickly-sweet fluoride foam (“Critique this,” said the assistant a little too proudly) and instructed me not to eat for a further 30 minutes. I timed the half hour down to the second, raided the fridge of leftover pasta, and sat down to write. Much better. To continue the Italian theme, allow me to reintroduce you to Cecconi’s Restaurant & Cellar Bar. You might already be familiar with the family-owned restaurant from your birthday/engagement/anniversary dinner (the Bortolotto family has been heavily involved in Melbourne’s restaurant scene for decades). 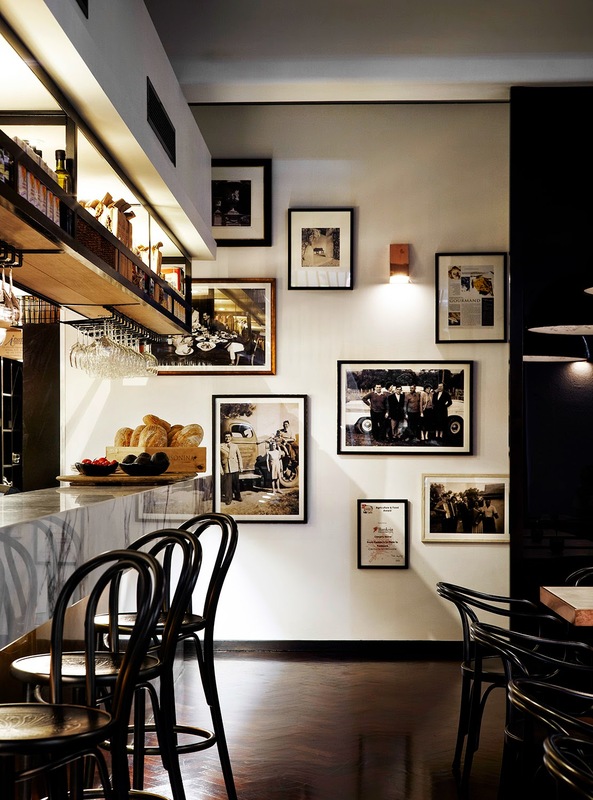 Located just below Flinders Street, it is always a pleasure ‘stooping down’ to Cecconi’s level. 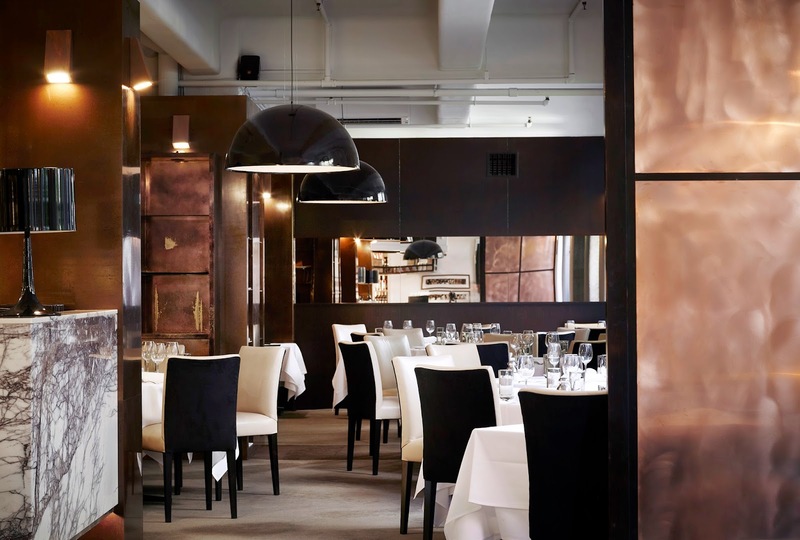 I say 'reintroduce' Cecconi’s because Mollard Interiors revamped the space earlier this year. Copper finishes, plush black chairs and decorative light pendants have been added, but the notion of family has been kept alive, a la famiglia photo wall. The food section of The Age, Good Food, dubbed Cecconi’s as one of Melbourne’s Top 10 Italian Restaurants in March, mentioning that it was “once the workplace of chain-smoking radio journos” (fondly remembered by some at my table). Today the moody colour palate remains, but Mollard has taken full advantage of texture and tone to add contemporary character to the space. Cecconi’s is divided into two areas, the main restaurant dinning room and the cellar bar, which remains open during the day from breakfast through to dinner. Personally, I was most impressed by the colossal open kitchen separating the two dining sections; framed by original marble, strung with pots, and strewn with produce. I was invited to the ‘intimate’ relaunch (along with over 100 other guests) to enjoy a sit down dinner, courtesy of head chef Daniel Kranjcic. It was my first taste of autumn 2014, and countless times more enjoyable than my encounter at the dentist. Dinner peaked early. 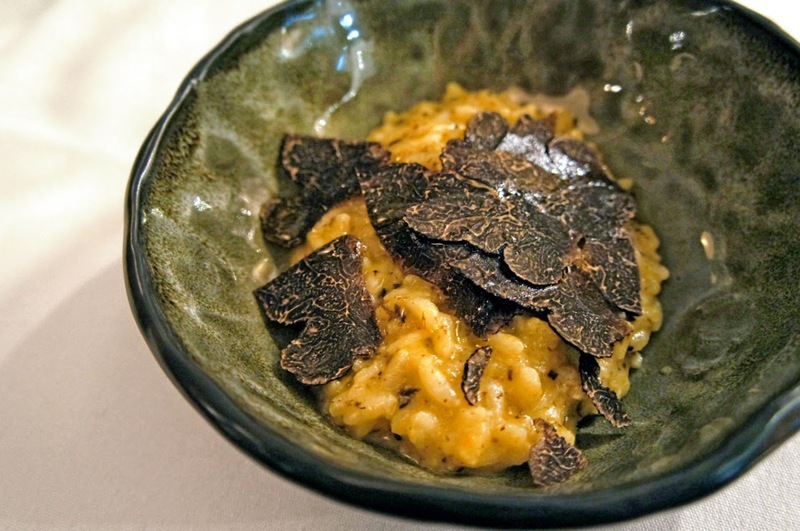 The mushroom risotto with black truffle more accurately represent black truffle with mushroom risotto. You could smell the heady perfume before it arrived at the table. I received the same satisfaction from each mouthful as I do from jamming my icy-cold feet onto warm, unsuspecting loved ones. Cynical, I asked the waiter if non-media receive the same truffle treatment. Apparently they do. 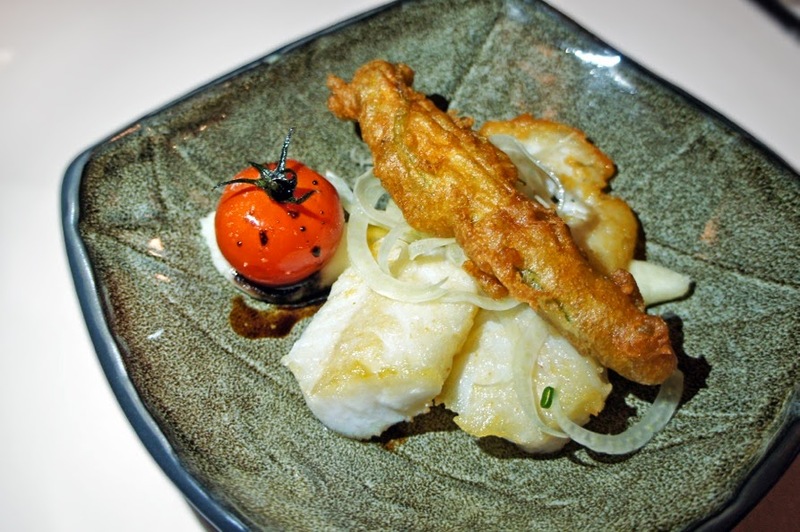 Next came Chatham Island blue cod, flanked by fried zucchini flowers from the Bortolotto family farm, no less. I managed to consume the confit tomato in a single bite, avoiding my usual habit of squirting it at the person sitting opposite me. The aged balsamic brought some punch to the party while thin ribbons of fennel would have turned the most stubborn licorice opponents. 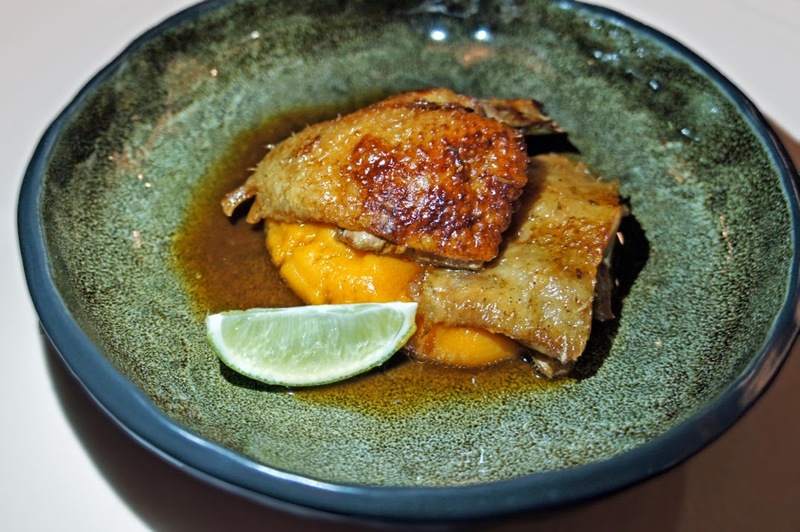 Sighs of satisfaction were served alongside twice cooked duck with sweet potato puree and lime. For once it wasn’t the crisp skin hugging the moist meat that demanded my attention, but the fluffy, almost dessert-like potato. It was the perfect segue into one of Cecconi’s signature desserts. 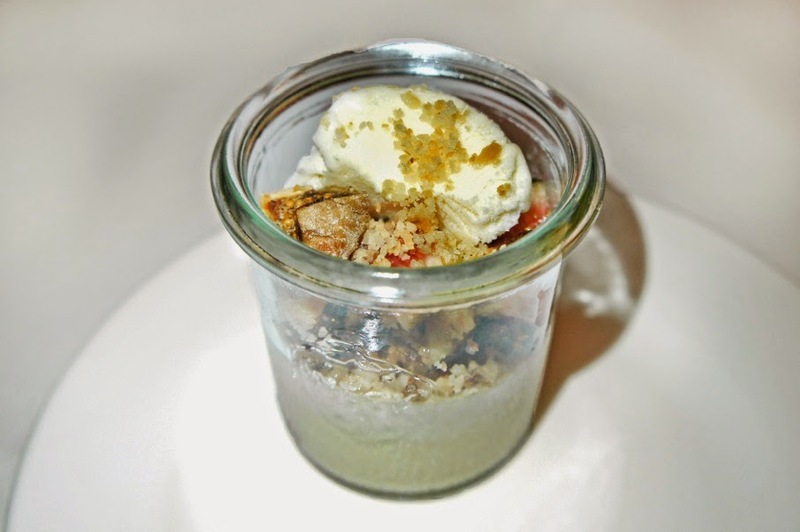 A tiny jar containing caramel panna cotta interspersed with fig cake and macadamia ice cream sounded more impressive than it was. Although enjoyable, it wasn’t traditional panna cotta in terms of texture (i.e. the usual, ‘firm bosom’ feel). 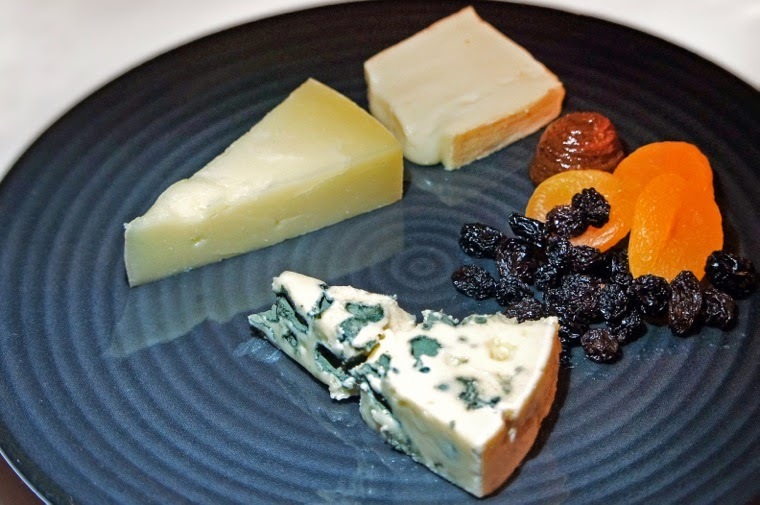 A selection of cheese with dried fruit and quince paste brought the evening to a pleasant close. There is no denying that Cecconi’s is a classic, regardless of how smooth the restaurant appears in front of a media and VIP crowd. As fiveofthebest.com founder and journalist Wendy Hargreaves pointed out on the night, “they’re preaching to the converted”. 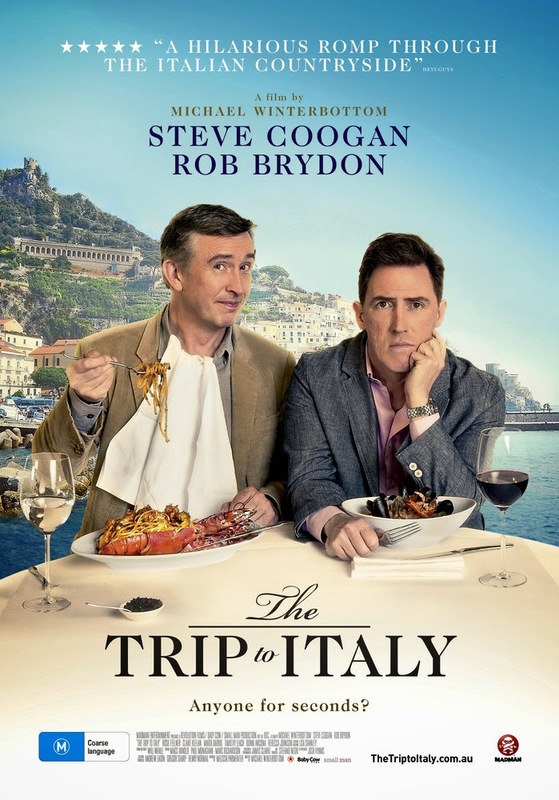 If you fancy a film after your Cecconi’s experience, I have five double passes to give away to see The Trip to Italy, in cinemas May 29. To go into the draw to win, simply tell me why you love Italian food by commenting below or on my Instagram (@fi_bird) by midnight June 5 (Australian residents only). Plot summary and trailer below. Rob Brydon has been commissioned by a newspaper to go on a driving tour of Italy from Liguria to Capri, partly following in the footsteps of the great Romantic poets. He asks his old friend Steve Coogan to go with him. As they journey through the beautiful Italian countryside they talk about life, relationships and their careers whilst stopping at wonderful restaurants and hotels along the way. I love Italian food because it goes so well with Italian wine:) I also love that it asks to be eaten with your fingers, which always feels so satisfying. Italian foods are my favorite. Specially the cheese. Italian food is so warming and hearty, and prepared which love. Beef, slow-cooked in sofritto, tomato and wine until it is falling apart. Served with hand-made pasta and freshly grated cheese. Amazing rich flavours and always a pleasant experience. Would love to see the new movie. The first Trip was hilarious! No matter how many points we used to evaluate a business, you are right when you say that first impressions are medical staffing.. That could be an ad, a website or even the way the phone is answered. Great article! ตรวจหวย Check out the lottery with popular lottery sites around the world that pay attention.